The Wrocław Opera hosted the ballet "Giselle" by Adolphe Adam on October 27-28, led by the Honored Artist of Azerbaijan, conductor of the State Academic Opera and Ballet Theater Eyyub Guliyev. The performance was based on the choreography of the outstanding world choreographers Jean Coralli and Jules Perrot (France). Eyyub Guliyev was appointed music director and conductor for the performance at the invitation of the Polish Theater. 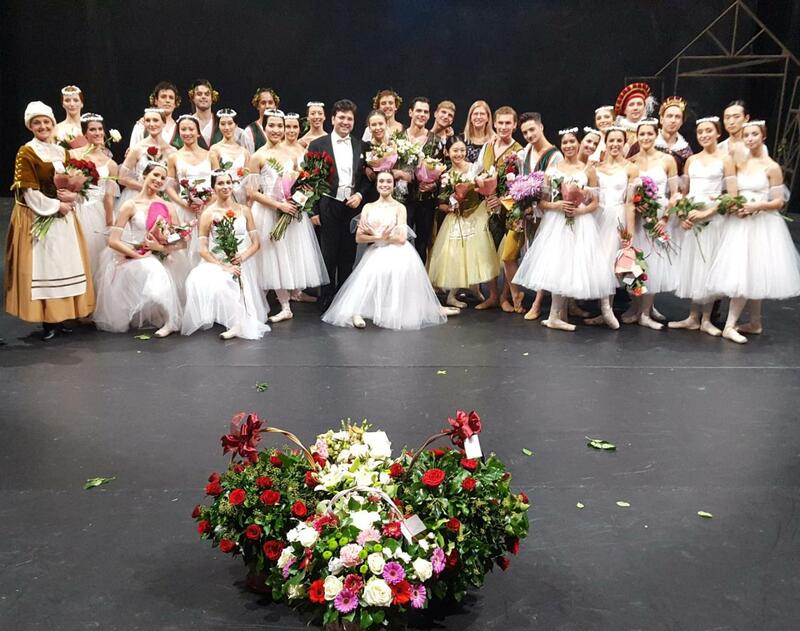 The ballet was staged under the direction of the leading choreographers of the Warsaw National Opera Theater - Eva Glovatska and Sofia Rudnitskaya. The set and costume designer is Tatiana Kvatkovska, stage director is Julian Zikhovich, and Eyyub Guliyev’s assistant-Rafal Karchmarchek, Trend Life reported. At the end of the performance, the audience applauded to the Azerbaijani conductor and all the participants of the premiere. After that, a solemn reception was held, where the director general of the Wroclaw Opera Theater, Marcin Nałęcz-Niesiołowski , and philanthropists from the Friends of the Theater Foundation thanked conductor Eyyub Guliyev, choreographers and all the soloists for their great work. Marcin Nałęcz-Niesiołowski personally invited the Azerbaijani conductor to continue cooperation with the Wroclaw Opera House and offered him to perform stage pieces from the theater repertoire in the upcoming season. Notably, Eyyub Guliyev is the winner of several competitions, including the International Conducting Competition after B. Lyutoslavckiy in Belostok in 2006 and the International Conducting Competition after D. Mitropoulos in Athens in 2008. "Giselle" ballet is about a peasant girl named Giselle, who dies of a broken heart after discovering her lover is betrothed to another. The Wilis, a group of supernatural women who dance men to death, summon Giselle from her grave. They target her lover for death, but Giselle's great love frees him from their grasp. The romantic ballet in two acts was first performed in 1841. The performance was an unqualified triumph. Giselle became hugely popular and was staged in Europe and the U.S.